The dust is starting to settle in Madrid after Cristiano Ronaldo’s exit, and Sid Lowe explains why the mood is so good in the Real camp. Alexis Sanchez and Ander Herrera scored in the first half to lift Jose Mourinho’s side to a 2-1 win over Gareth Bale and Real Madrid. “All that’s missing is a 9,” ran the headline in Madrid sports daily AS after the opening game of Julen Lopetegui’s Real Madrid tenure ended in a 2-1 defeat against Jose Mourinho’s Manchester United. Other than serving as a thinly veiled cry for a Galactico to fill the void left by Cristiano Ronaldo’s departure, those few short words also give the impression that Lopetegui’s side played United off the pitch. That was scarcely the case. The game was conducted with the gravity a pre-season cash-spinner deserves and Real’s starting lineup contained half-a-dozen players who won’t be bothering Lopetegui’s team sheet when the serious business begins. It also casually ignored the fact that Real’s current No. 9, Karim Benzema, scored his side’s only goal. The Frenchman also missed a presentable chance but was given just a half after a summer spent kicking his heels in Madrid while his country were busy winning the World Cup without him. Benzema said in a recent interview that he wants “to do better” this season and as things stand he will start 2018-19 as he did the previous campaign, as Real’s only senior striker. Another summer seems destined to pass without a Galactico despite the efforts of Florentino Perez and the pro-Madrid media to smoke one out. PSG are not for turning, Bayern are standing firm on Robert Lewandowski and Eden Hazard appears to be out of reach with the Premier League window closing in a week. If anything, Real are likely to make more progress at the other end of the pitch with their pursuit of Thibaut Courtois, who will be out of contract at Chelsea next summer. La Liga without Ronaldo will be a less glamorous place, but the left wing under Lopetegui won’t lack flair. Marco Asensio is ready to replace the Portuguese on a full-time basis and Vinicius Junior has already displayed enough of his precocious talent to persuade Lopetegui to hand him a shirt number. That number, for the moment, is 28. Ronaldo’s seven remains without a back to carry the burden of his absence but it will fall to Benzema to pick up his share of the workload in the scoring stakes. Last season, he managed just five in the league: a well-timed brace in the Champions League semifinals served to activate the collective amnesia that Madridismo sporadically suffers from, but memories will be swiftly jogged with his first shanked competitive effort of 2018-19. Benzema has always endured a love-hate relationship with the Bernabeu and last season was particularly uncomfortable. He has though always enjoyed the full backing of Perez — the kind of support that has occasionally lent itself to a suspicion of complacency. Now, Benzema has the chance to do both in his own right. Lopetegui has traditionally operated with a 4-2-3-1 or a 4-3-3. Both systems will benefit Benzema, who has found the centre a little overcrowded in the past couple of seasons with Ronaldo’s gradual drift towards the middle and Gareth Bale’s tendency to cut inside. Benzema’s most prolific season to date at the Bernabeu was 2015-16, when a crucial factor was that he was the designated man in the middle. With Isco and Asensio bound to play greater roles under their former national team mentor, there will be plenty of chances for Benzema and fewer boots to trip over. Ronaldo averaged over a goal a game for Madrid, but he took an awful lot of shots to achieve that feat. 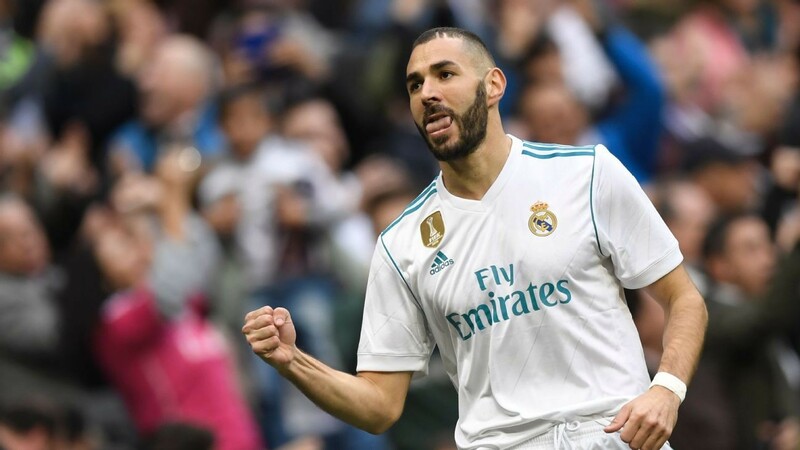 A good percentage of those opportunities will now fall to his former attacking foil, whose eye for the net is underestimated: Benzema stands seventh on the list of all-time top scorers at the club, with a slightly better goals-per-game ratio than Raul. Lopetegui was not Perez’s first choice for the job and it is not out of the question that Real’s pursuit of a Galactico this summer has fallen flat largely because he does not carry the aura of Mourinho, Ancelotti or Zinedine Zidane. The Real boss has consistently stated that he is happy with what he has got at his disposal. With little scope of major reinforcements, his primary task will be to tease out Benzema’s best form. Real’s prospects of success this season lie in the synergy between manager and striker. Hit the ground running and all will be well. Fail to do so and those headlines will be recycled to suggest all that is missing is a certain No. 7.